Universally considered one of the most relaxing forms of massage. Your therapist will use long smooth strokes with gentle to medium pressure working in direction of the body’s blood flow. The rewards are improved circulation, a reduction in physical and emotional stress and a gentle stimulation to the body’s nervous system and skin.There will be stretches incorporated with the massage. Final touch is hot towels on the feet & a great foot massage. This 45 minute massage focuses on the upper half of the body where stress and tension can occur; areas from which common headaches often result. 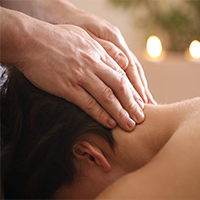 This concentrated massage is focused on the head, neck, shoulders and back. A perfect service for the busy professional on the run. Focused on the feet and/or hands, this Oriental treatment applies pressure-point massage to relieve stress and tension. It will restore energy and improve circulation throughout the body. (Not recommended during pregnancy). We manscape neck to toes & everything in between. Clients must remain respectful. This is not a sexual treatment. 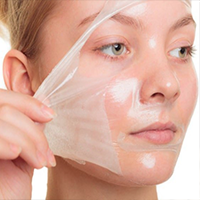 A chemical peel is one of the easiest methods to transform the appearance and texture of your skin. Your chemical peel will improve the look of your skin by exfoliating the dull outer layer, revealing the smoother, fresher skin hidden beneath the surface. It will firm your sagging skin by stimulating the production of collagen. The increased collagen production will plump your skin promoting a firmer, more even, younger-looking complexion. 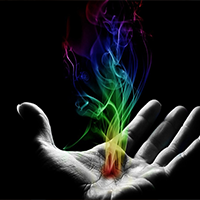 Experience what each master-level energy therapist has to offer from their individual toolboxes-This work initiates and facilitates a subtle process of healing and self-discovery within the emotional, physical, and spiritual aspects of your being. 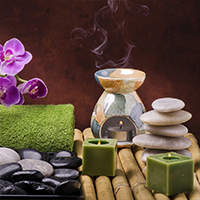 Our therapists are skilled in an extensive range of Eastern and Western energy modalities that help clear and strengthen your energy field and aid you in accessing your inner wisdom. This treatment is the perfect way to experience a variety of techniques from our wonderful energy workers. You are fully clothed during this session.